EYESIGHT SAFETY SYSTEM, 4WD/AWD, APPLE-PLAY RADIO, BACKUP CAMERA, EyeSight, EyeSight System. ALL NEW SUBARUS INCLUDE 2 YEAR COMPLIMENTARY MAINTENANCE AT BOB MOORE SUBARU. 28/38 City/Highway MPG Here at Bob Moore Subaru, we use our extensive product knowledge and active listening to help assist our customers in selecting the perfect Subaru for their needs! IF THE EXACT VEHICLE IS NOT IN OUR INVENTORY, WE WILL HAVE IT DELIVERED IN 72 HOURS OR LESS SPECIFICALLY FOR YOU! * With almost 70 years of experience, Bob Moore has extensive relationships within our region to make sure the perfect Subaru is always available for our customers. *May be affected by weather and availability. EYESIGHT SAFETY SYSTEM, 4WD/AWD, APPLE-PLAY RADIO, BACKUP CAMERA, BLUETOOTH COMPATIBLE STEREO, ADAPTIVE CRUISE CONTROL, 17" Alloy Wheels, Alloy Wheel Package. ALL NEW SUBARUS INCLUDE 2 YEAR COMPLIMENTARY MAINTENANCE AT BOB MOORE SUBARU. 25/34 City/Highway MPG Here at Bob Moore Subaru, we use our extensive product knowledge and active listening to help assist our customers in selecting the perfect Subaru for their needs! IF THE EXACT VEHICLE IS NOT IN OUR INVENTORY, WE WILL HAVE IT DELIVERED IN 72 HOURS OR LESS SPECIFICALLY FOR YOU! * With almost 70 years of experience, Bob Moore has extensive relationships within our region to make sure the perfect Subaru is always available for our customers. *May be affected by weather and availability. EYESIGHT SAFETY SYSTEM, 4WD/AWD, APPLE-PLAY RADIO, BACKUP CAMERA, BLUETOOTH COMPATIBLE STEREO. ALL NEW SUBARUS INCLUDE 2 YEAR COMPLIMENTARY MAINTENANCE AT BOB MOORE SUBARU. 25/34 City/Highway MPG Here at Bob Moore Subaru, we use our extensive product knowledge and active listening to help assist our customers in selecting the perfect Subaru for their needs! IF THE EXACT VEHICLE IS NOT IN OUR INVENTORY, WE WILL HAVE IT DELIVERED IN 72 HOURS OR LESS SPECIFICALLY FOR YOU! * With almost 70 years of experience, Bob Moore has extensive relationships within our region to make sure the perfect Subaru is always available for our customers. *May be affected by weather and availability. EYESIGHT SAFETY SYSTEM, 4WD/AWD, APPLE-PLAY RADIO, BACKUP CAMERA, BLUETOOTH COMPATIBLE STEREO, 17" Alloy Wheels, Alloy Wheel Package. ALL NEW SUBARUS INCLUDE 2 YEAR COMPLIMENTARY MAINTENANCE AT BOB MOORE SUBARU. 25/34 City/Highway MPG Here at Bob Moore Subaru, we use our extensive product knowledge and active listening to help assist our customers in selecting the perfect Subaru for their needs! IF THE EXACT VEHICLE IS NOT IN OUR INVENTORY, WE WILL HAVE IT DELIVERED IN 72 HOURS OR LESS SPECIFICALLY FOR YOU! * With almost 70 years of experience, Bob Moore has extensive relationships within our region to make sure the perfect Subaru is always available for our customers. *May be affected by weather and availability. EYESIGHT SAFETY SYSTEM, 4WD/AWD, APPLE-PLAY RADIO, BLUETOOTH COMPATIBLE STEREO, 17" Alloy Wheels, Alloy Wheel Package. ALL NEW SUBARUS INCLUDE 2 YEAR COMPLIMENTARY MAINTENANCE AT BOB MOORE SUBARU. 25/34 City/Highway MPG Here at Bob Moore Subaru, we use our extensive product knowledge and active listening to help assist our customers in selecting the perfect Subaru for their needs! IF THE EXACT VEHICLE IS NOT IN OUR INVENTORY, WE WILL HAVE IT DELIVERED IN 72 HOURS OR LESS SPECIFICALLY FOR YOU! * With almost 70 years of experience, Bob Moore has extensive relationships within our region to make sure the perfect Subaru is always available for our customers. *May be affected by weather and availability. ALL NEW SUBARUS INCLUDE 2 YEAR COMPLIMENTARY MAINTENANCE AT BOB MOORE SUBARU. 23/29 City/Highway MPG Here at Bob Moore Subaru, we use our extensive product knowledge and active listening to help assist our customers in selecting the perfect Subaru for their needs! IF THE EXACT VEHICLE IS NOT IN OUR INVENTORY, WE WILL HAVE IT DELIVERED IN 72 HOURS OR LESS SPECIFICALLY FOR YOU! 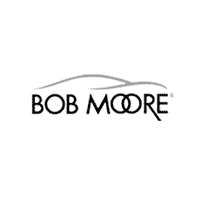 * With almost 70 years of experience, Bob Moore has extensive relationships within our region to make sure the perfect Subaru is always available for our customers. *May be affected by weather and availability. EYESIGHT SAFETY SYSTEM, 4WD/AWD, APPLE-PLAY RADIO, SUNROOF/MOONROOF, BACKUP CAMERA, HEATED SEATS, BLUETOOTH COMPATIBLE STEREO, ADAPTIVE CRUISE CONTROL, Blind Spot Detection (BSD), EyeSight & BSD/RCTA & SRF & Moonroof, EyeSight System, Power Moonroof, Rear Cross Traffic Alert (RCTA), Steering Responsive Fog Lights (SRF). ALL NEW SUBARUS INCLUDE 2 YEAR COMPLIMENTARY MAINTENANCE AT BOB MOORE SUBARU. 28/36 City/Highway MPG Here at Bob Moore Subaru, we use our extensive product knowledge and active listening to help assist our customers in selecting the perfect Subaru for their needs! IF THE EXACT VEHICLE IS NOT IN OUR INVENTORY, WE WILL HAVE IT DELIVERED IN 72 HOURS OR LESS SPECIFICALLY FOR YOU! * With almost 70 years of experience, Bob Moore has extensive relationships within our region to make sure the perfect Subaru is always available for our customers. *May be affected by weather and availability. 4WD/AWD, APPLE-PLAY RADIO, BACKUP CAMERA, BLUETOOTH COMPATIBLE STEREO. ALL NEW SUBARUS INCLUDE 2 YEAR COMPLIMENTARY MAINTENANCE AT BOB MOORE SUBARU. 27/33 City/Highway MPG Here at Bob Moore Subaru, we use our extensive product knowledge and active listening to help assist our customers in selecting the perfect Subaru for their needs! IF THE EXACT VEHICLE IS NOT IN OUR INVENTORY, WE WILL HAVE IT DELIVERED IN 72 HOURS OR LESS SPECIFICALLY FOR YOU! * With almost 70 years of experience, Bob Moore has extensive relationships within our region to make sure the perfect Subaru is always available for our customers. *May be affected by weather and availability. EYESIGHT SAFETY SYSTEM, 4WD/AWD, APPLE-PLAY RADIO, BACKUP CAMERA, HEATED SEATS, BLUETOOTH COMPATIBLE STEREO, Blind Spot Detection (BSD), BSD & RCTA & HBA w/Titanium Gray Cloth Interior, High Beam Assist, Rear Cross Traffic Alert (RCTA). ALL NEW SUBARUS INCLUDE 2 YEAR COMPLIMENTARY MAINTENANCE AT BOB MOORE SUBARU. 25/34 City/Highway MPG Here at Bob Moore Subaru, we use our extensive product knowledge and active listening to help assist our customers in selecting the perfect Subaru for their needs! IF THE EXACT VEHICLE IS NOT IN OUR INVENTORY, WE WILL HAVE IT DELIVERED IN 72 HOURS OR LESS SPECIFICALLY FOR YOU! * With almost 70 years of experience, Bob Moore has extensive relationships within our region to make sure the perfect Subaru is always available for our customers. *May be affected by weather and availability. EYESIGHT SAFETY SYSTEM, 4WD/AWD, APPLE-PLAY RADIO, BACKUP CAMERA, BLUETOOTH COMPATIBLE STEREO, All-Weather Floor Liners, Auto-Dimming Mirror w/Compass & HomeLink, Cargo Tray, EyeSight System, Popular Package #1, Rear Bumper Cover, Rear Seat Back Protector, Splash Guards. ALL NEW SUBARUS INCLUDE 2 YEAR COMPLIMENTARY MAINTENANCE AT BOB MOORE SUBARU. 27/33 City/Highway MPG Here at Bob Moore Subaru, we use our extensive product knowledge and active listening to help assist our customers in selecting the perfect Subaru for their needs! IF THE EXACT VEHICLE IS NOT IN OUR INVENTORY, WE WILL HAVE IT DELIVERED IN 72 HOURS OR LESS SPECIFICALLY FOR YOU! * With almost 70 years of experience, Bob Moore has extensive relationships within our region to make sure the perfect Subaru is always available for our customers. *May be affected by weather and availability. EYESIGHT SAFETY SYSTEM, 4WD/AWD, APPLE-PLAY RADIO, BLUETOOTH COMPATIBLE STEREO, EyeSight System. ALL NEW SUBARUS INCLUDE 2 YEAR COMPLIMENTARY MAINTENANCE AT BOB MOORE SUBARU. 27/33 City/Highway MPG Here at Bob Moore Subaru, we use our extensive product knowledge and active listening to help assist our customers in selecting the perfect Subaru for their needs! IF THE EXACT VEHICLE IS NOT IN OUR INVENTORY, WE WILL HAVE IT DELIVERED IN 72 HOURS OR LESS SPECIFICALLY FOR YOU! * With almost 70 years of experience, Bob Moore has extensive relationships within our region to make sure the perfect Subaru is always available for our customers. *May be affected by weather and availability. EYESIGHT SAFETY SYSTEM, 4WD/AWD, APPLE-PLAY RADIO, BACKUP CAMERA, BLUETOOTH COMPATIBLE STEREO. ALL NEW SUBARUS INCLUDE 2 YEAR COMPLIMENTARY MAINTENANCE AT BOB MOORE SUBARU. 27/33 City/Highway MPG Here at Bob Moore Subaru, we use our extensive product knowledge and active listening to help assist our customers in selecting the perfect Subaru for their needs! IF THE EXACT VEHICLE IS NOT IN OUR INVENTORY, WE WILL HAVE IT DELIVERED IN 72 HOURS OR LESS SPECIFICALLY FOR YOU! * With almost 70 years of experience, Bob Moore has extensive relationships within our region to make sure the perfect Subaru is always available for our customers. *May be affected by weather and availability. EYESIGHT SAFETY SYSTEM, 4WD/AWD, APPLE-PLAY RADIO, SUNROOF/MOONROOF, NAVIGATION/NAVI/GPS, BACKUP CAMERA, HEATED SEATS, BLUETOOTH COMPATIBLE STEREO, Blind Spot Detection (BSD), harman/kardon Amplifier & Speakers, Moonroof & BSD/RCTA & Navi & HK Audio, Navigation System, Power Moonroof, Radio: Subaru STARLINK 8.0" Multimedia Nav System, Rear Cross Traffic Alert (RCTA). ALL NEW SUBARUS INCLUDE 2 YEAR COMPLIMENTARY MAINTENANCE AT BOB MOORE SUBARU. 28/36 City/Highway MPG Here at Bob Moore Subaru, we use our extensive product knowledge and active listening to help assist our customers in selecting the perfect Subaru for their needs! IF THE EXACT VEHICLE IS NOT IN OUR INVENTORY, WE WILL HAVE IT DELIVERED IN 72 HOURS OR LESS SPECIFICALLY FOR YOU! * With almost 70 years of experience, Bob Moore has extensive relationships within our region to make sure the perfect Subaru is always available for our customers. *May be affected by weather and availability. EYESIGHT SAFETY SYSTEM, 4WD/AWD, APPLE-PLAY RADIO, BLUETOOTH COMPATIBLE STEREO. ALL NEW SUBARUS INCLUDE 2 YEAR COMPLIMENTARY MAINTENANCE AT BOB MOORE SUBARU. 25/32 City/Highway MPG Here at Bob Moore Subaru, we use our extensive product knowledge and active listening to help assist our customers in selecting the perfect Subaru for their needs! IF THE EXACT VEHICLE IS NOT IN OUR INVENTORY, WE WILL HAVE IT DELIVERED IN 72 HOURS OR LESS SPECIFICALLY FOR YOU! * With almost 70 years of experience, Bob Moore has extensive relationships within our region to make sure the perfect Subaru is always available for our customers. *May be affected by weather and availability. EYESIGHT SAFETY SYSTEM, 4WD/AWD, APPLE-PLAY RADIO, SUNROOF/MOONROOF, BACKUP CAMERA, HEATED SEATS, BLUETOOTH COMPATIBLE STEREO, ADAPTIVE CRUISE CONTROL, Blind Spot Detection (BSD), EyeSight & Moonroof & BSD/RCTA & HK Audio, EyeSight System, harman/kardon Amplifier & Speakers, Power Moonroof, Rear Cross Traffic Alert (RCTA). ALL NEW SUBARUS INCLUDE 2 YEAR COMPLIMENTARY MAINTENANCE AT BOB MOORE SUBARU. 27/35 City/Highway MPG Here at Bob Moore Subaru, we use our extensive product knowledge and active listening to help assist our customers in selecting the perfect Subaru for their needs! IF THE EXACT VEHICLE IS NOT IN OUR INVENTORY, WE WILL HAVE IT DELIVERED IN 72 HOURS OR LESS SPECIFICALLY FOR YOU! * With almost 70 years of experience, Bob Moore has extensive relationships within our region to make sure the perfect Subaru is always available for our customers. *May be affected by weather and availability. ALL NEW SUBARUS INCLUDE 2 YEAR COMPLIMENTARY MAINTENANCE AT BOB MOORE SUBARU. 25/32 City/Highway MPG Here at Bob Moore Subaru, we use our extensive product knowledge and active listening to help assist our customers in selecting the perfect Subaru for their needs! IF THE EXACT VEHICLE IS NOT IN OUR INVENTORY, WE WILL HAVE IT DELIVERED IN 72 HOURS OR LESS SPECIFICALLY FOR YOU! * With almost 70 years of experience, Bob Moore has extensive relationships within our region to make sure the perfect Subaru is always available for our customers. *May be affected by weather and availability. ALL NEW SUBARUS INCLUDE 2 YEAR COMPLIMENTARY MAINTENANCE AT BOB MOORE SUBARU. 26/33 City/Highway MPG Here at Bob Moore Subaru, we use our extensive product knowledge and active listening to help assist our customers in selecting the perfect Subaru for their needs! IF THE EXACT VEHICLE IS NOT IN OUR INVENTORY, WE WILL HAVE IT DELIVERED IN 72 HOURS OR LESS SPECIFICALLY FOR YOU! * With almost 70 years of experience, Bob Moore has extensive relationships within our region to make sure the perfect Subaru is always available for our customers. *May be affected by weather and availability.